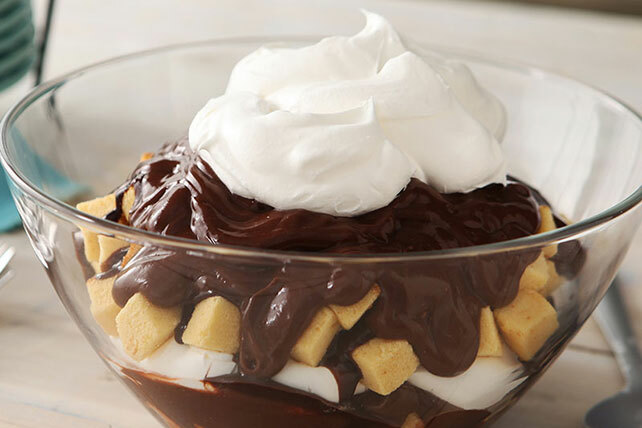 This crowd-pleasing dessert is all about the layers—of chocolatey pudding, pound cake, whipped topping and chocolate syrup! Place half the cake cubes in 3-qt. serving bowl; drizzle with 1/4 cup chocolate syrup. Top with layers of 1 cup pudding and half the COOL WHIP. Repeat all layers. Trim 30 calories and 4.5g of fat per serving by preparing with fat-free milk, fat-free pound cake and COOL WHIP LITE Whipped Topping.